SAN FRANCISCO, Calif. /California Newswire/ — EPIC Insurance Brokers and Consultants, a retail property & casualty insurance brokerage and employee benefits consultant, today announced that surety executive Sharon Rusconi and her team have joined the firm in Sacramento, Calif. Rusconi's book of business and other assets were purchased by EPIC from Lesron Insurance Agency, Inc., where Rusconi has worked for 25 years, most recently as the firm's president. Terms of the transaction were not disclosed. As part of EPIC, Rusconi and her team will continue operating from their current location at 2381 El Camino Avenue, Sacramento, CA 95821. 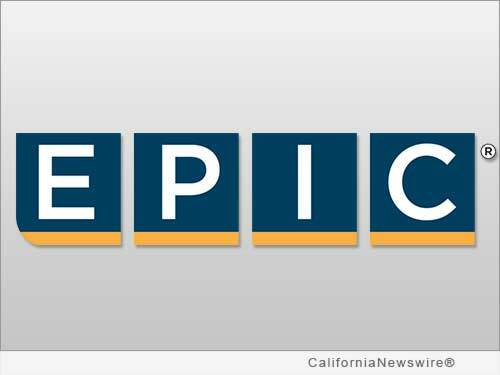 "I am pleased and excited to welcome Sharon and her team of Sandy Black, Sokha Evans and Erin Johnson to EPIC," said Curt Perata, managing principal of property & casualty operations for EPIC. "Sharon joins as Vice President of Surety for our Concord, Sacramento, Gold River and Reno offices." "The addition of Sharon and her team makes EPIC one of the largest surety operations in the Sacramento region and across California," added Tom McCready, EPIC Principal and Sacramento office leader. "We look forward to the opportunities this new level of expertise and support brings to all, particularly EPIC clients in the construction industry." Since The Carlyle Group became the firm's major investment partner in December 2013, EPIC has completed seven strategic acquisitions/purchases, adding more than 300 employees in 13 new locations across the country. Said Rusconi, "I am very excited and motivated by the chance to work for a dynamic, fast growing company like EPIC, where I can play an important role in developing and executing growth strategies related to surety services and adding bonding capacity for our existing and future clients." Headquartered in San Francisco, EPIC Insurance Brokers and Consultants has nationwide presence with a depth of industry expertise across key lines of insurance, including commercial property and casualty, employee benefits, unique specialty program insurance, and private client services. Since its founding in 2007, EPIC has grown revenue from $5 million to $160 million through both organic growth and strategic acquisitions, and remains a fixture on the insurance industry's "Best Places to Work" lists. Its strategic partners include private equity firms The Carlyle Group and Stone Point Capital. To learn more, visit http://www.epicbrokers.com/ .